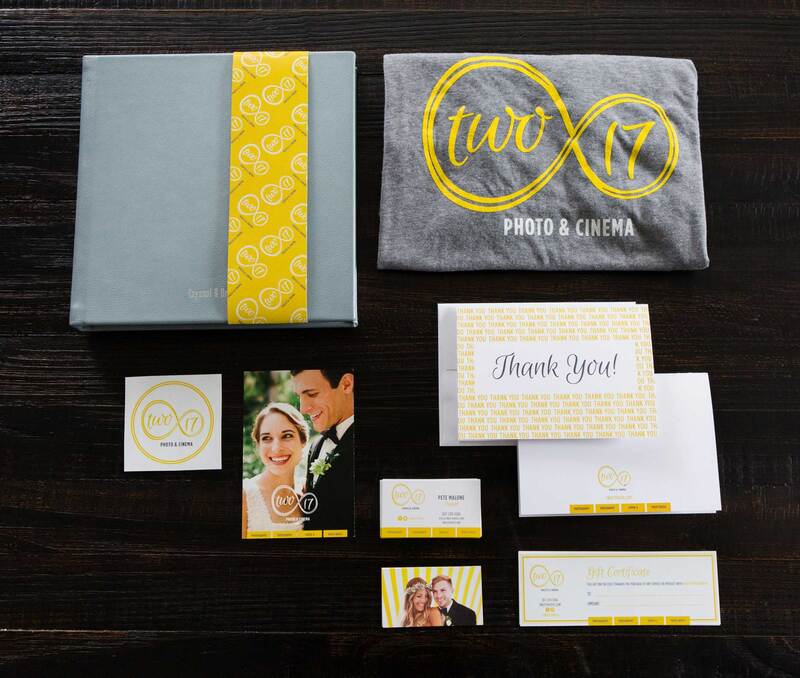 Two17 Photo & Cinema was in business for 9 years and felt it was time to realign their branding with their approach and to launch a new portfolio site that focuses on their services. One of the biggest challenges was getting the name to read as “two seventeen” rather than “two one seven”; SSC solved this by using both letters and numbers. 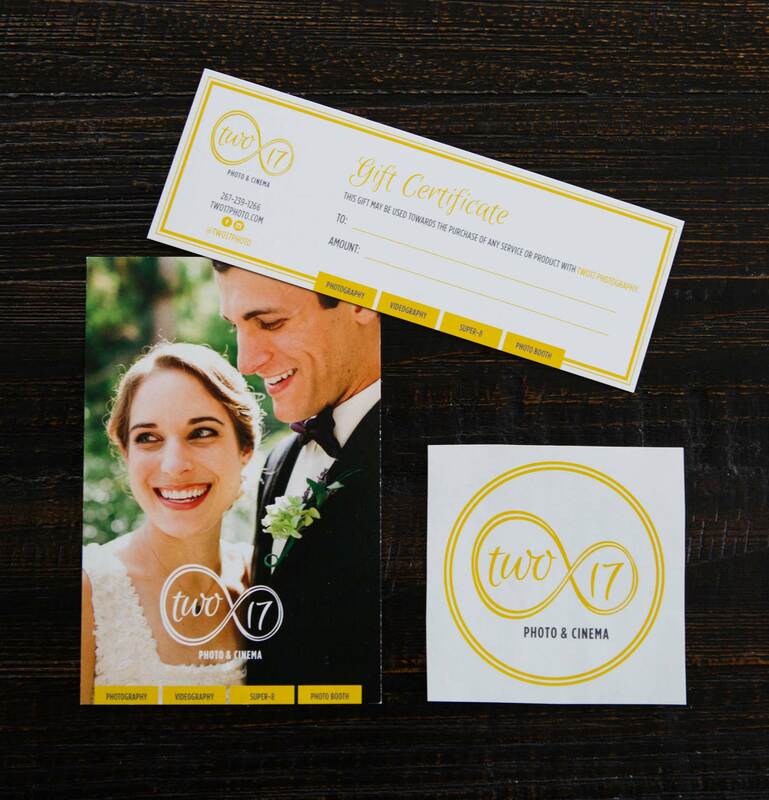 SSC worked with Two17 through their visual branding process to create a brand that is bright reflecting the candid, fun style of the way they work and their target audience. 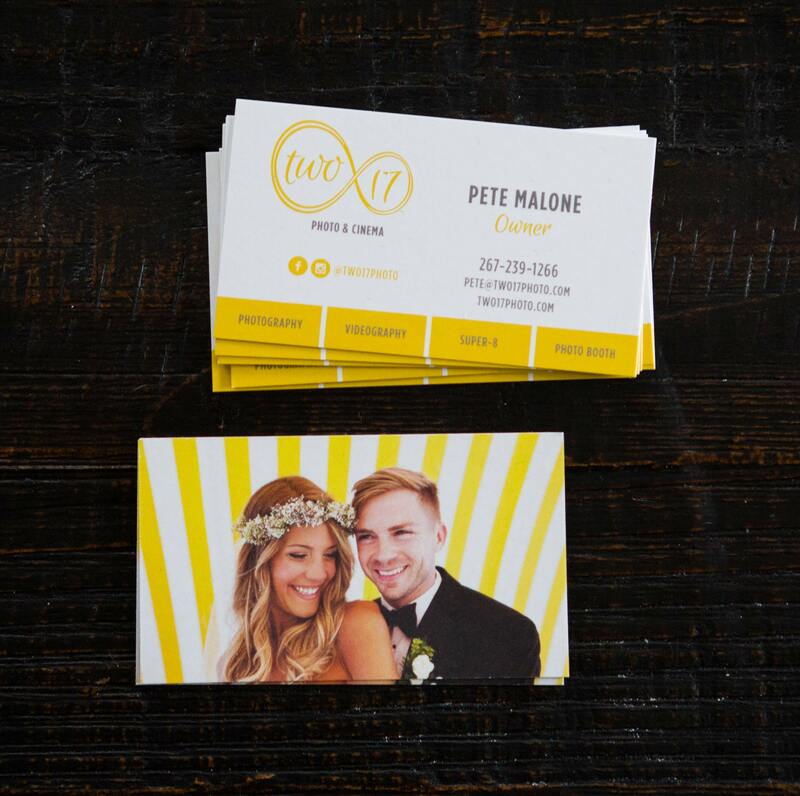 The infinity mark works well with the wedding industry. 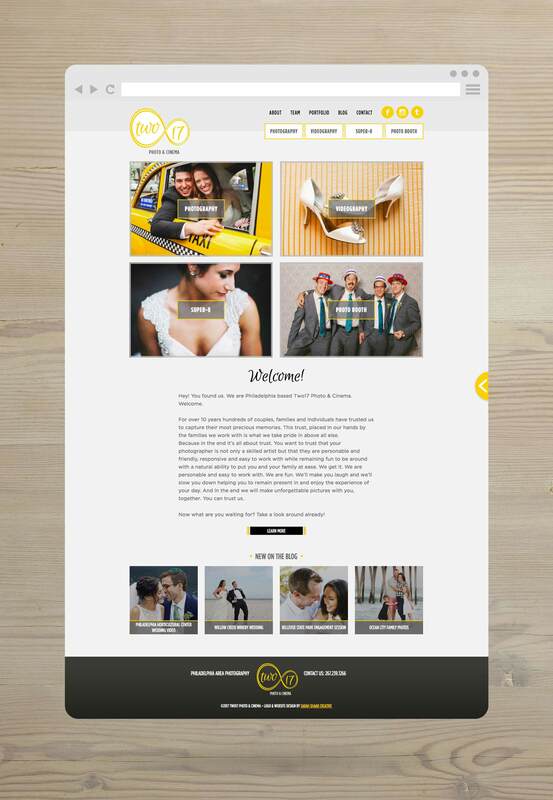 The website uses black, white, grey, brand yellow and color pops on the different pages. 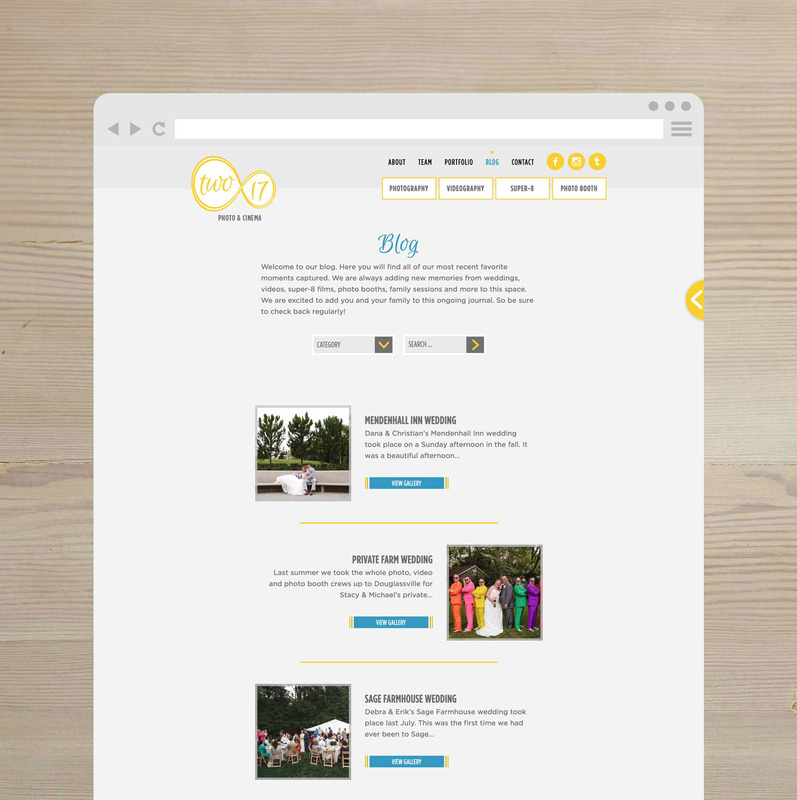 The custom navigation puts a focus on their services. 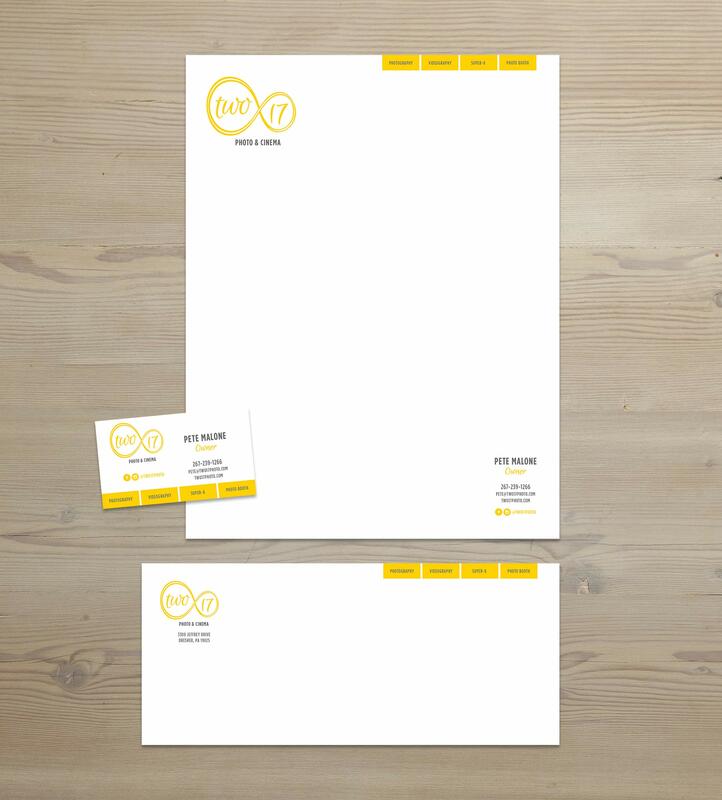 Accompanying branded materials include brochures, business cards, album inserts, thank you cards, promo cards and t-shirts.